Super Star Rajinikanth’s ongoing gangster drama, Kaala, completed its first schedule in Mumbai. 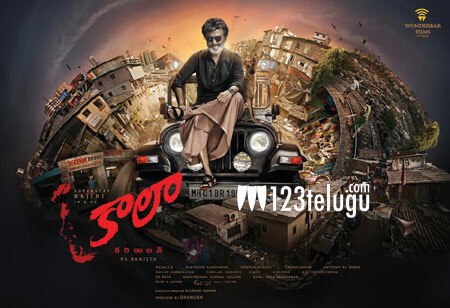 The film’s unit had canned several crucial scenes featuring Rajini as the slum lord turned gangster, Kaala Karikaalan. Rajini is back in Chennai and he is expected to meet his fans from June 15 to 17. After a brief gap, the unit will kick-off the second schedule from the 24th of this month. A huge Dharavi slum set has been erected​ on the outskirts of Chennai. Pa Ranjith is directing Kaala and Dhanush is producing it. Huma Qureshi, Nana Patekar, Anjali Patil, Samuthirakani and Pankaj Tripathi are essaying important​ roles in the film.